The perfect place to start and finish your day at Piper’s Heath. Experience some of the GTA’s finest cuisine and service. Using the freshest local ingredients, our chef has created seasonal menus that will delight and intrigue your palate. Join us for the chef’s tasting menu or for our specialty nights and even for your corporate meetings, tournaments, or parties. Piper’s Pub is open to the public during the golf season from sun up to sun down, and during the off season for your corporate needs. *Please note our Restaurant closes at 2:00pm every Saturday. 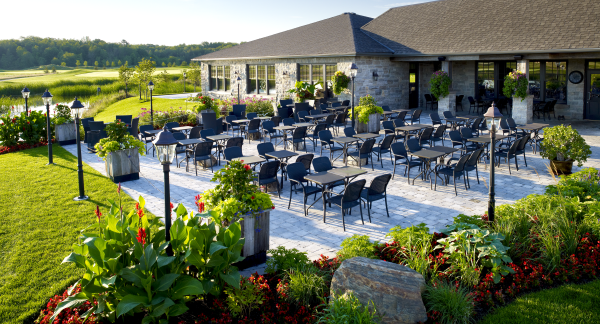 Enjoy your meal on our pond-side patio overlooking the first tee, or take comfort in our rustic pub. Try our famous chicken wings and assortment of deluxe sauces!